Debt to Income Ratio is your monthly debt payments divided by your gross monthly income (expressed as a %). In the case of a home purchase, you would also include your new proposed monthly housing payment in your monthly debt payments. For example, if your monthly debts are $200/month + a new proposed housing payment of $1400 ÷ $3,800/month income = 42% Debt to Income (or DTI). Different DTI Ratios are accepted depending on different loan types, but a Qualified Mortgage (QM) should be under 43% DTI. Discover how much home you can afford. All of your current, minimum monthly payments (minus your housing costs), divided by your pre-tax income. For example, if your monthly bills are $200, and your gross paycheck (or other business income) is $3,800, your top or front end DTI would be 5%. 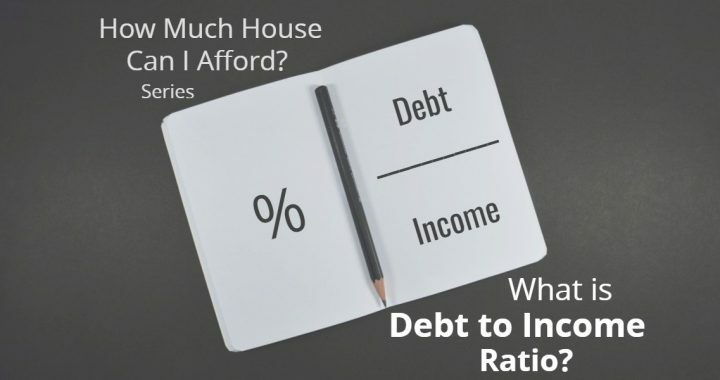 To continue our example, if your desired total home costs are $1400/month ($1,200 month for Principal & Interest and $200 Month for Taxes = $1400/month PITI), your bottom or back-end debt-to-income ratio would be 42%. 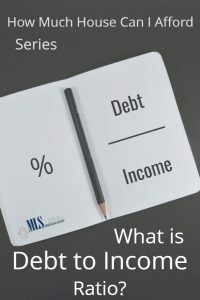 Posted in Buying a House, How Much House Can I Afford and tagged Debt to Income Ratio, Home Affordability, Mortgage Questions. ← FHA Loan Limits MN 2016 – Updated!